on either a MultiQuad seat or bench. 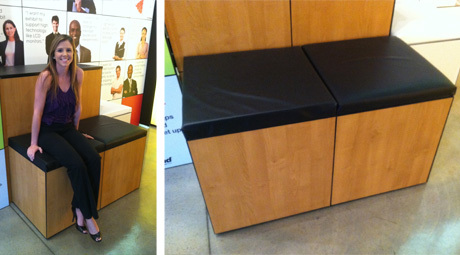 These sturdy seating options provide a place to rest, but also add enhancement to your exhibit. 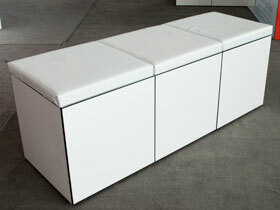 Seats and benches can be used individually or grouped together to create unique arrangements. 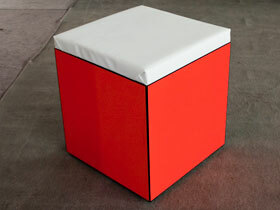 Made using the same framework and Quads as your MultiQuad exhibit, they easily integrate into the design of your exhibit. And with interchangeable Quads you can always keep their appearance current. You can even switch Quads from your exhibit to the seating since the height of the Quads are the same. 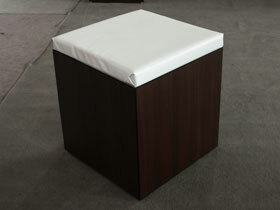 Both seats and benches are topped off with a custom cushion available in white or black. Seat height with cushion is about 24". Move your mouse over images to see alternate views. 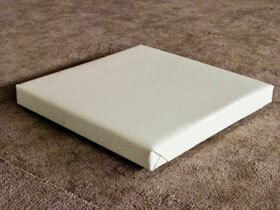 A single seating option, this seat is 23" x 23". MultiQuad seating gives you the ability to update your look in seconds. Utilizing full size Quads, you can interchange Quads from your exhibit as well. A seat just wouldn’t be complete with out a comfy cushion top. Choose between white or black for your cushion. 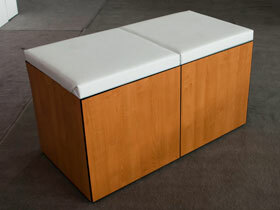 The MultiQuad Bench is 24" x 46" and offers you a two-seater option. 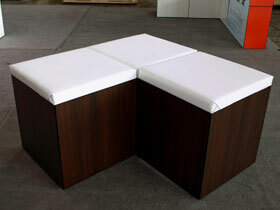 The MultiQuad Triple Bench provides you with three seats. Combine the 2-seater MultiQuad Bench with one of the MultiQuad seats and you create a longer more impressive triple seat bench. Interchange Quads to create a new look to your bench within seconds. Rollover image to see bench in a new finish. Since the MultiQuad Bench is constructed from the same framework as the exhibit, that means it is adjustable and offers you the options of changing your bench from one long runner to a offset arrangement. Create the right arrangement that works for your exhibit. 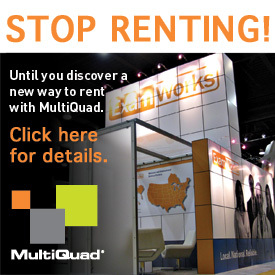 The MultiQuad Exhibit System is available exclusively from industry leader, ExpoDisplays (www.expodisplays.com). It’s unique design provides exhibitors the opportunity to reconfigure the system to create an endless array of exhibit arrangements from 10’ x 10’ to 100’ x 100’+. Since 1970 ExpoDisplays has been an innovative leader in the trade show industry. Visit www.expodisplays.com today and discover what makes us different.